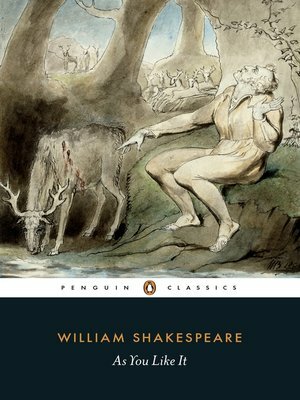 William Shakespeare's exuberant comedy As You Like It is his playful take on the Renaissance tradition of pastoral romance, edited by H.J. Oliver with an introduction by Katherine Duncan-Jones. When Rosalind is banished by her uncle Duke Frederick, who has usurped her father's throne, she flees to the forest of Arden where her exiled father holds court. There, dressed as a boy to avoid discovery, she encounters the man she loves - Orlando, similarly forced into exile by his older brother Oliver - and resolves to remain in disguise to test his feelings or her. A gloriously sunny comedy, As You Like It is an exuberant combination of concealed identities and verbal jousting, reconciliations and multiple weddings. This book contains a general introduction to Shakespeare's life and Elizabethan theatre, a separate introduction to As You Like It, a chronology, suggestions for further reading, an essay discussing performance options on both stage and screen, and a commentary. William Shakespeare (1564-1616) was born to John Shakespeare and Mary Arden some time in late April 1564 in Stratford-upon-Avon. He wrote about 38 plays (the precise number is uncertain), many of which are regarded as the most exceptional works of drama ever produced, including Romeo and Juliet (1595), Henry V (1599), Hamlet (1601), Othello (1604), King Lear (1606) and Macbeth (1606), as well as a collection of 154 sonnets, which number among the most profound and influential love-poetry in English. If you enjoyed As You Like It, you might like Much Ado About Nothing, also available in Penguin Shakespeare.